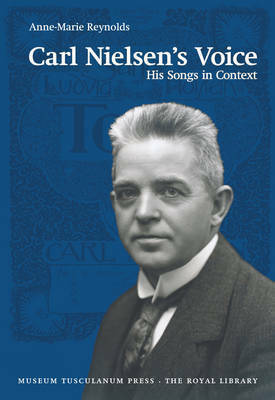 This book offers a comprehensive account of Carl Nielsen as a composer viewed from the point of a musicologist with an international background and with Danish insight into Danish language and culture. Anne-Marie Reynolds examines a large portion of Carl Nielsen's songs, both in relation to his own production and in a broader cultural historical context. 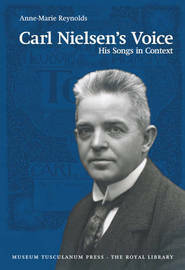 This is also the first time in the reception history of Carl Nielsen that an in-depth analysis of his songs is presented. In addition to this analysis, the author provides a stylistic comparative examination of the songs and two of his most important works, the first symphony and the opera Masquerade. This is done with a view to demonstrating that the opposition between Carl Nielsen as a composer of songs and Carl Nielsen as the composer of "great" works is only a seeming opposition. The book which is the result a collaboration with Niels Krabbe, head of the Carl Nielsen Edition at The Royal Library will be published simultaneously with the publication of approximately 300 of the composer's songs, the last volume in the collected edition of Carl Nielsen's works. Anne-Marie Reynolds is Assistant Professor of Music History at the Geneseo School of the Arts, State University of New York. She received her Ph.D. from Eastman School of Music. She has written articles and presented papers on Carl Nielsen, among others, and has contributed to The Carl Nielsen Companion.